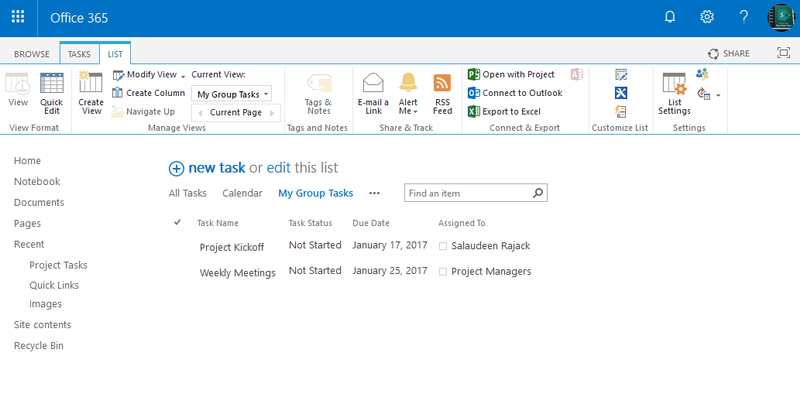 Requirement: In SharePoint Online Task List, Get All Tasks Assigned to the Logged in User and User's Groups. 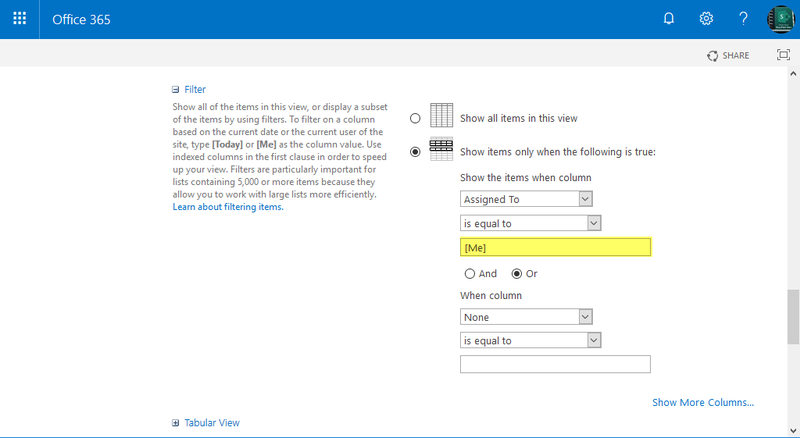 If you want to filter task list items assigned to current user, you can simply set the [Me] filter in view settings. But If a Task item assigned to a group and the logged-in user is member of that group, how do we show them? Well, there is no way to set such filter from web user interface. So, lets create a new list view using PowerShell to filter task list items assigned to current user and current user's groups in SharePoint Online. Although you can edit the query with SharePoint designer, Lets create a new list view using PowerShell which filters all tasks assigned to current user and current user's groups.